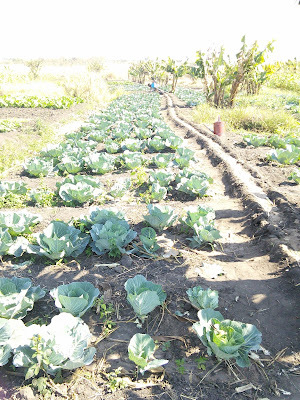 The concept of efficiency is critically important as it applies to many different aspects of the farming life in Malawi. 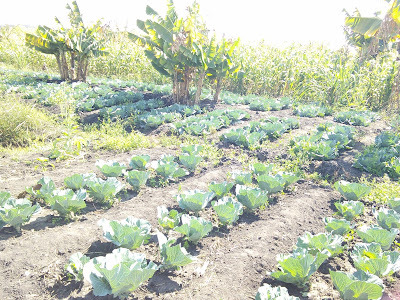 The yield per acre; farm output versus input; the percentage of water pumped that reaches the roots of the crop; the amount of time spent in the garden versus the level of production. Farmers who waste land, inputs, water, or time are less efficient, and therefore more at risk of hunger and malnutrition. Farmers need to be able to do more with less. That's where good, simple pumps come in. 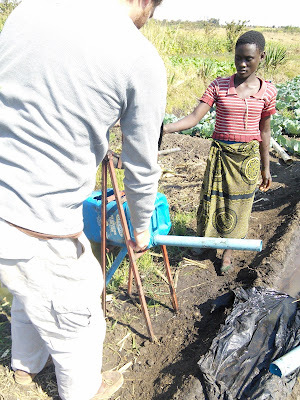 The area that one young woman can grow with a pump is more than what two strong men can manage with watering cans. This girl was put in charge of watering a huge field of cabbages by herself. Her father trusts that she can manage to do it, even though without a pump he couldn't do it himself. On top of that, she still has time to get home and take care of her other chores and schoolwork. 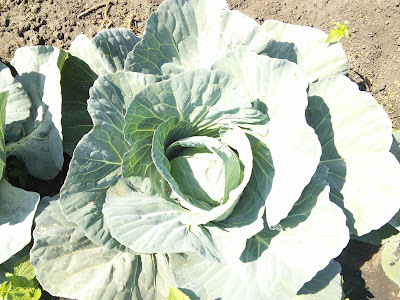 A field of cabbages of this size can provide enough income to pay two years of school fees. 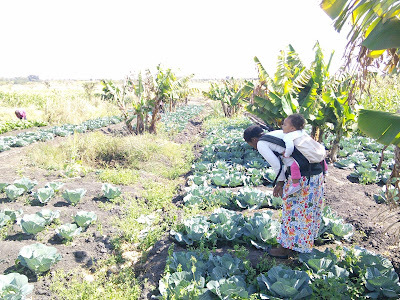 Families that could not normally pay for their kids' education can work together to grow a crop that will meet all their needs and even improve their lives through education, healthcare, better housing, better drinking water, etc.